Seven years ago, the last time lamb prices were as high as they have been for the last 12 months, overseas customers suddenly decided enough was enough and turned off the tap, causing a sharp drop in price which reached its low point of less than $4.50 per kilo more than a year later. The difference this time appears to be a more gradual climb and a longer peak with no sign yet of a repeat collapse. The other significant difference is the emergence of China as a key market, whereas in 2012 the traditional markets of UK, EU and USA had to bear the impact of selling to their consumers a product which had effectively priced itself off the market. Today the spread of market demand means more of the lamb carcase can be sold at a higher price; although this doesn’t mean there isn’t some risk of another collapse, there are greater signs of sustainability. The critical point is for meat exporters and farmers not to fall into the trap of thinking procurement prices can automatically be recovered from the buyer. In its September Supplier Update Silver Fern Farms refers to the detrimental effect of third party agents competing for lambs in the saleyards, stating the company’s resistance to using them because of their lack of connection to the market and failure to communicate true market signals. The clear implication is that other companies still use third parties on a regular basis. Alliance’s General Manager Livestock and Shareholder Services, Heather Stacy, told me third parties have a role to play and are necessary to preserve flexibility when supply is short, although shareholders always receive priority. However Alliance does not buy in the yards, but of course agents do. Other companies spoken to are adamant Alliance has been the main culprit in pushing prices up and for longer than just the winter period. That said, some companies are making a reasonable profit despite the current procurement price of $8.20-8.30, although this will change as soon as the last EU chilled Christmas shipments sail. The predominantly frozen commodity orders after early November will inevitably bring about a price realignment. Another complicating factor has been the high proportion of heavy old season’s lambs which don’t meet chilled specifications and are less profitable as a result. I found the comments attributed to Alliance CEO, David Surveyor, at the company’s North Canterbury shareholder roadshow meeting very interesting. He suggested overseas markets were already resisting the high prices as a consequence of the procurement competition which had caused Alliance to pay out $37 million more in procurement than it had received in revenues. It would be disappointing if the abnormally high cost of procurement were to flow directly through to the market price, as implied by Surveyor’s comments, as this contravenes the most basic marketing principal – charge what the market will bear, not what it costs to produce. Another surprising point was the indication the September year end result would still produce a profit in spite of this massive front loading of farmer incomes, although pool distributions were less likely. Hopefully loyal shareholder suppliers received their fair share of the upfront livestock payments. In conversation with several other processors, I haven’t heard much suggestion of market resistance to current product prices, rather an acceptance prices will inevitably come back as a result of the increased volumes in the New Year and the change in product mix. Alliance’s forecast of $6.50 per kilo procurement price was seen as unduly pessimistic, or optimistic depending on the perspective, with $7 being more likely, especially as there are contracts available at that price. Generally the companies are quietly confident about the state of the market and the sustainable nature of demand at around the $7 mark. This confidence must be viewed against the backdrop of a volatile trading environment which could become less predictable as a result of any one of several events: the trade war between USA and China could blow up into something affecting the rest of the world, the UK may not reach agreement on the terms of Brexit, the Italian bank crisis may seriously damage the Euro or global share markets may collapse. 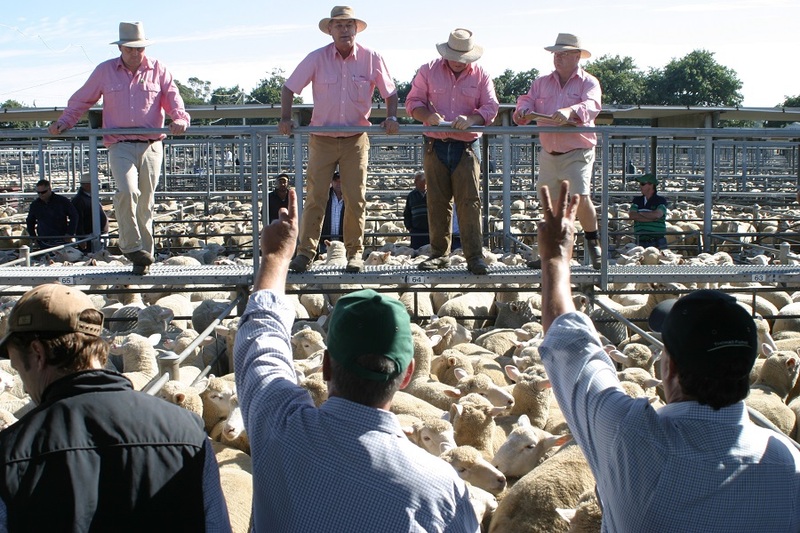 Over the next six months meat companies will enjoy reasonable lamb supplies, unless the peak comes early because of drought, and their processing capacity will be well matched to supply, with excess capacity largely a thing of the past. There will be no need to pay more than the market price justifies and, assuming everything is equal in respect of market returns and processing costs, all processors should be able to reward suppliers satisfactorily and make a comfortable profit at the same time. Let’s keep our fingers crossed silly procurement competition doesn’t rear its head again next year.